Online training plans and one-on-one coaching for runners and triathletes of all ages and abilities. We believe in order achieve success, whether it is a 5k or a marathon or an Olympic distance triathlon or an Ironman, an athlete must train their aerobic and anaerobic energy systems as well as race specific paces. We’ve dubbed our methodology the Total Zone Training System which makes our training more fun and more effective. 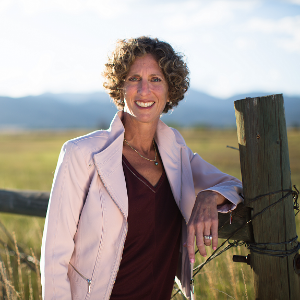 Joanna Zeiger, MS, PhD has been an endurance coach since 2003. She has coached athletes of all ages (10-76) and all abilities (beginners to age group World Champions and Boston Qualifiers). JZ raced as a professional triathlete from 1998-2010. She placed 4th in the triathlon at the 2000 Sydney Olympics and won the 2008 Ironman 70.3 World Championships. She is a seven time Olympic trials qualifier in 3 sports – marathon, triathlon and swimming. Joanna still pursues her passion for sports as a top Masters runner. Through her company, Race Ready Coaching, Joanna trains endurance athletes to reach their personal best and instills in them the importance of having fun even when they are training hard. When she is not coaching or training for running events, Joanna works as a consultant in the field of biostatistics. Joanna’s education took her to Brown University, Northwestern University, and Johns Hopkins Bloomberg School of Public Health. Joanna’s book The Champion Mindset: An Athlete’s Guide to Mental Toughness (St. Martin’s Press) was published in February, 2017. Success. Coach Joanna Zeiger has been notified of your message.